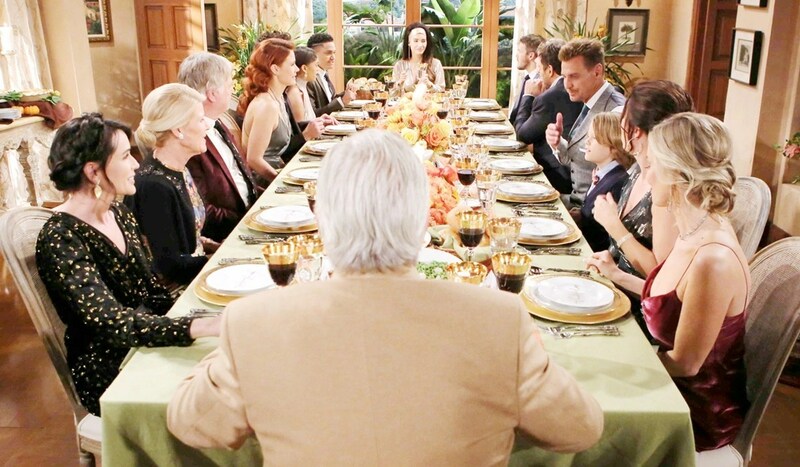 In Soaps.com’s newest The Bold and the Beautiful spoilers, the tables are turned when Bill gets the upper hand with Ridge, and Pam works to cause trouble for Quinn as tension between them hits a new level. Please return to this page each day for updates and teasers from the weekly videos. In the latest Deconstructing B&B, a soap rivalry was born when Quinn threatened Donna, and more. In today’s B&B recap, Bill hires Ken to get the goods on Ridge, and Emma dumps Xander. Interview! Darin Brooks and Courtney Hope discuss their B&B coupling and hope for the future. In the weekly B&B Spoiler Video: Ridge threatens to send Bill and the Judge to jail after getting the goods on them both. In today’s B&B recap, Bill ensnares Ridge and Judge McMullen in a trap, and Pam plots against Quinn. Bill plans a set-up for Ridge and Craig McMullen. Pam’s conflict with Quinn escalates. Devastating photos: Soap stars affected by California fires, include Katherine Kelly Lang (Brooke). In today’s B&B recap, Ridge and McMullen are summoned by Bill, and Pam asks Eric to hire Donna. Having been caught by Bill, Ridge waits to see what will happen next. Pam suggests to Eric that Donna work with her in reception, knowing it will upset Quinn. Tickets and TV air date to watch B&B stars in the Hollywood Christmas parade. In Wednesday’s B&B recap, Pam’s cryptic comment about Quinn leaves Donna concerned and Brooke makes a plea to Bill. She’s coming back! Hunter Tylo returns to B&B as Dr. Taylor Hayes. Brooke, Katie, and Thorne learn that Ridge is at Bill’s mercy. Pam and Donna make amends and look back on their past. Hallmark Christmas movies have started and include It’s Christmas, Eve, which airs this weekend. Back from maternity leave: Karla Mosley returns to B&B as Maya. Look for Bridget to reappear soon when Ashley Jones returns to B&B. Justin and Bill set a trap for Ridge and Judge McMullen to meet up in a parking lot. Once they realize they didn’t call one another, Ridge knows Bill has figured out what he did and must wait for Spencer’s next move. Wyatt and Liam share an emotional moment with their father. Eric weighs in on Quinn and Pam’s feud.